Are you looking to attract more sponsors? Do you want to know how to charge more for event sponsorship? This blog series is for you. Sponsorship is the backbone of the events industry, but getting it right can take work. Following on from the recent look at ways to shake up your sponsorship offering, today we look at creating targeted sponsorship packages. 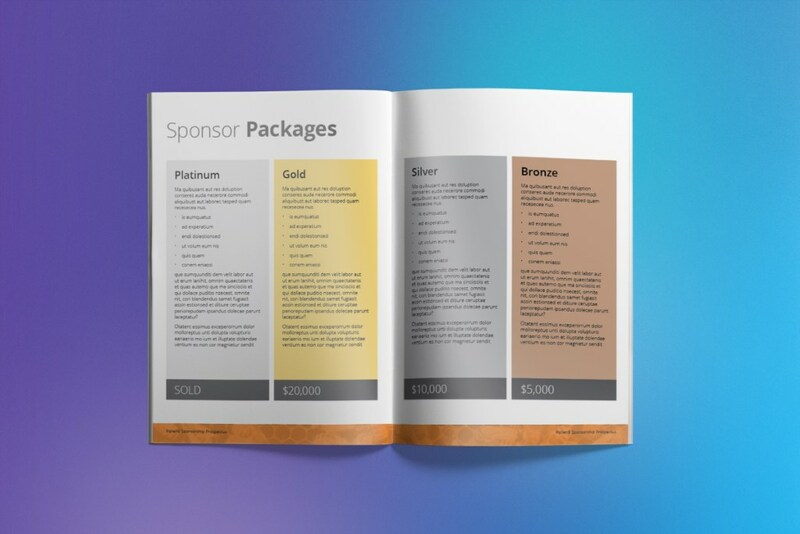 A key component of promoting event sponsorship, your prospectus should communicate the value of sponsoring your event, using event data and providing tailored sponsorship benefits and packages. Let’s take a look at what essential information should be in your prospectus and how to find and convert sponsors. Before writing your prospectus, create a list of ideal sponsors for your event. This includes all of companies that you currently and previously have partnered with and potential new sponsors. Check out your competitors’ events – which companies are sponsoring them? Next, what do these sponsors would be looking to achieve? Product promotion, brand recognition with certain demographics. Their website, social media profiles and any recent media pieces are a great place to start. 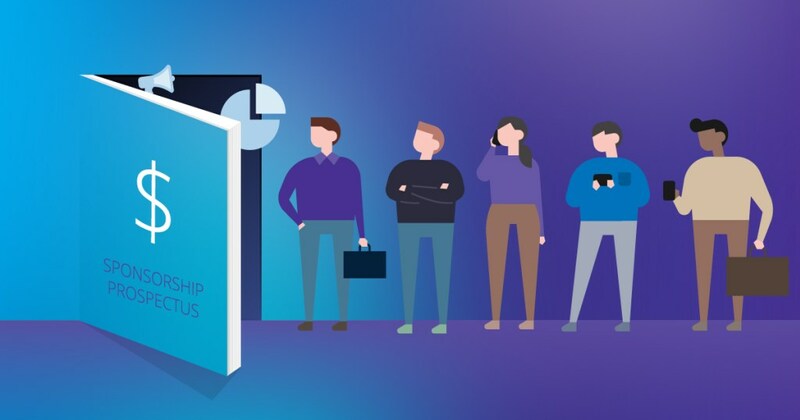 Think about how your event could help achieve the organisation’s goals and be sure to include these opportunities in your sponsorship offerings. 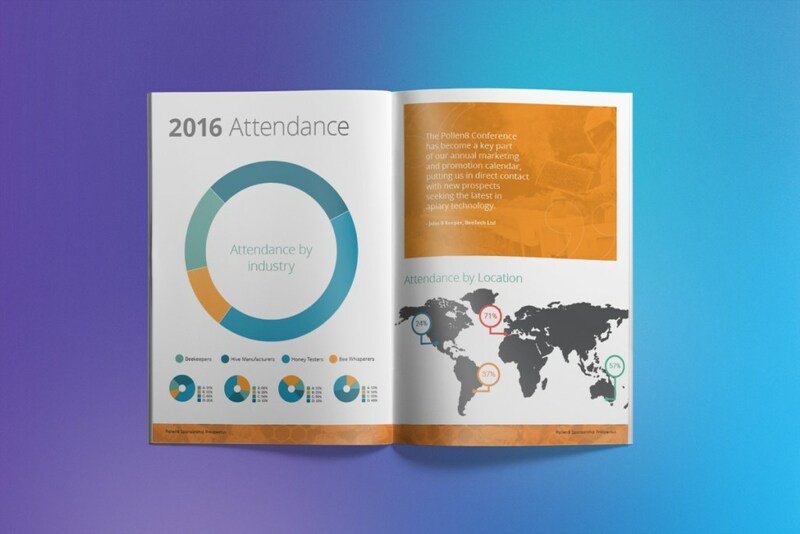 Sponsors want to see numbers to identify if their target audience are amongst your attendees. How many attendees will be at your event? What is the primary job title of attendees? What industries are they from? Ideally you can answer these questions based on past event data, but if this is not available you can offer a projection. Give partners flexibility to select from different levels of investment value. A great way to give new sponsors a taste and decide if future sponsorship is right for them. A mid-level investment could be appealing to existing sponsors wanting to step up their presence and exposure. The premium level packages should be tailored to sponsors who want to stand out the most – prominent branding, a exhibition booth, or speaking opportunity, extra event tickets for their VIP guests. 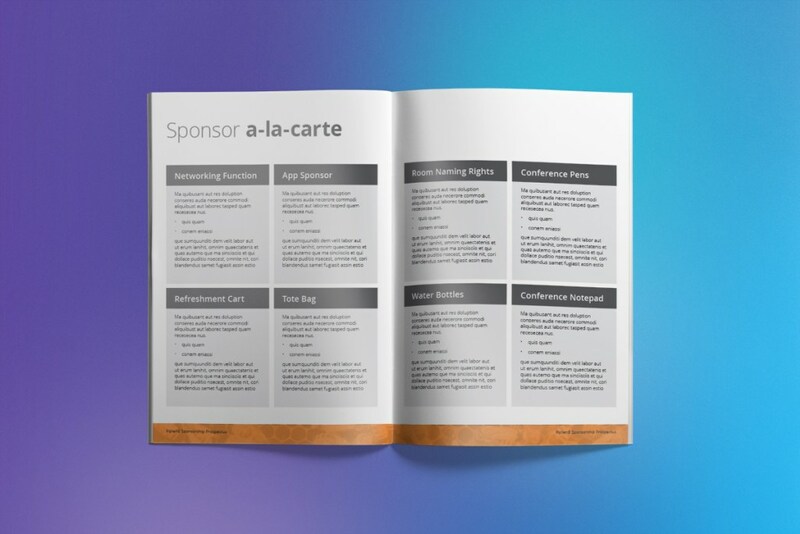 Tailor your a-la-carte sponsorship items to suit your identified sponsors and their needs. Common items include networking party partner, delegate bag inserts, coffee cart, relaxation lounge, or specific session sponsorship. These can be offered individually or as packages, for example an In-app Program Sponsor may get a branded icon, sponsor banner, pop-up and a push notification. Check out our knowledge base for more details on sponsorship opportunities within the Entegy Suite. 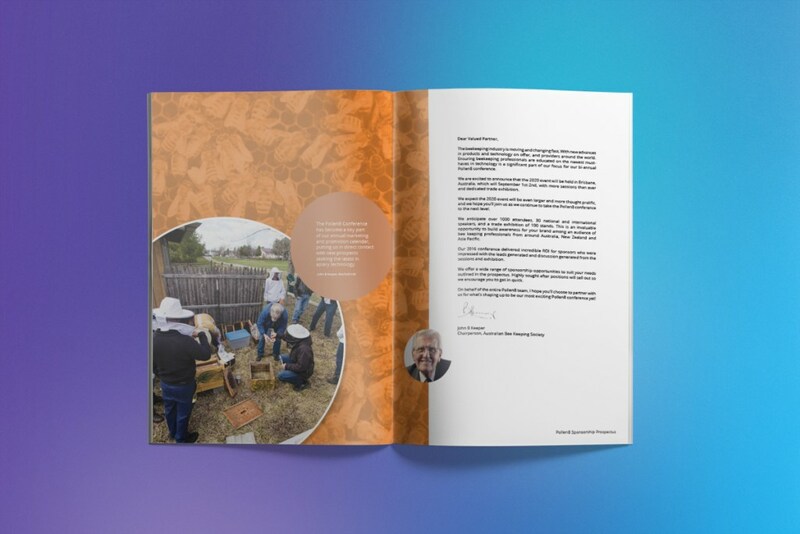 Grab each potential sponsor’s attention from the start with a personalised introduction letter. Be sure to outline any relevant audience data and sponsorship items which you think would suit their organisation. Go the extra mile and let them know that you are willing to work with them to create a tailored package for them. We’ve included an example in our free prospectus template below. Get the word out you are looking for sponsors through all your channels – association or organisation magazine, website, articles, ads on industry websites. Showcase testimonials from exhibitors, sponsors and attendees to demonstrate satisfaction from past events. Use the link below to access our google docs prospectus template. Yours to use, edit and customise! Change any logo or image – right click and hit “Replace image…” (you can upload your own or use the search option to find images online).